The office of Dr. Ravi, a modern weight loss center in Boynton Beach, Florida; specializes in obstetrics, gynecology, with innovative programs and services for both men and women. Our mission is to provide, through our weight loss center in Boynton Beach, Florida, the highest quality, compassionate medical care to our patients in a friendly, professional atmosphere. Focus on the individual’s well-being as a whole our wellness services specialize in Medically Supervised Weight Loss, Hormone Replacement Therapy and more. On the Aesthetics side, our services include Acne Treatments, Anti-Aging, Botox, Skin Rejuvenation and more. We differentiate by offering a personalized and exquisite attention to our clients. Our experienced staff will guide you on this new journey towards a healthier, satisfying and more productive life. We have built a solid reputation based on the principal of delivering professional medical services of the highest quality in a warm, friendly environment along with the very latest modern technology in a well equipped weight loss center . We treat each patient as a partner in his/her medical care, making patient education a major component of the care provided. 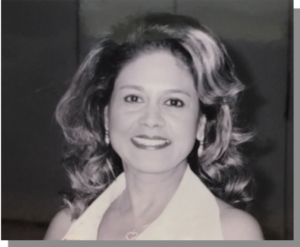 Dr. Hima Ravi is the owner and founder of Longevity into Vitality Medical Weight Loss and Aesthetics in Boynton Beach, Florida. She has more than 20 years of experience as an OB/GYN Physician. During the last 10 years, her focus has turned to weight loss management and aesthetics. She gives every patient a tailored experience making each inch trimmed or pound lost a personal project. Dr. Ravi received her Medical Degree in India in 1975. Over the last 30 years of practicing within the Central Florida area and now right here in South Florida, she has embedded herself within the Weight Loss and Aesthetics community with this specialized weight loss center in Boynton Beach, Florida. Under a Licensed Physician’s Guidance, begin your personal improvement journey today! !